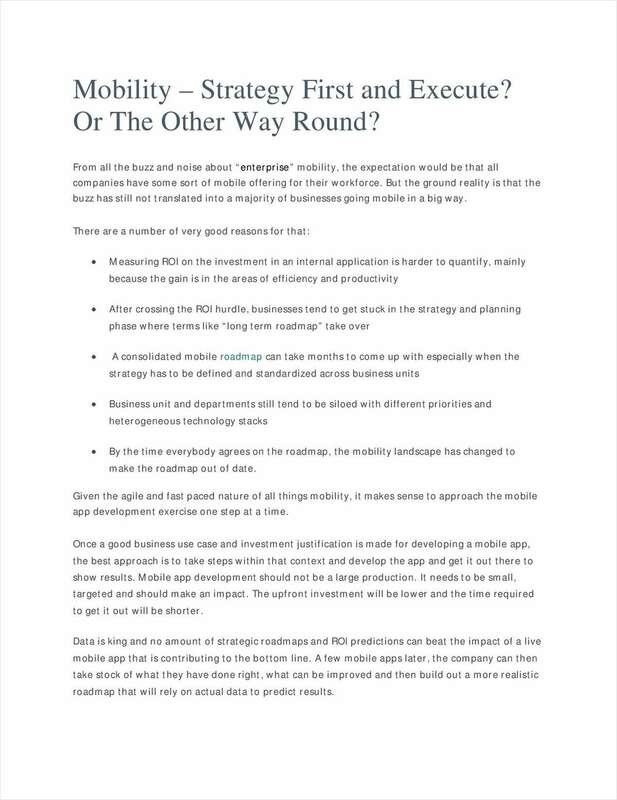 "Mobility -- Strategy First and Execute? Or The Other Way Round?" Free Information Brief: "Mobility -- Strategy First and Execute? Or The Other Way Round?" Find answers to why businesses still struggle dealing with mobility. By submitting this content request, I have legitimate interest in the content and agree that Boston Technology Corporation, their partners, and the creators of any other content I have selected may contact me regarding news, products, and services that may be of interest to me.